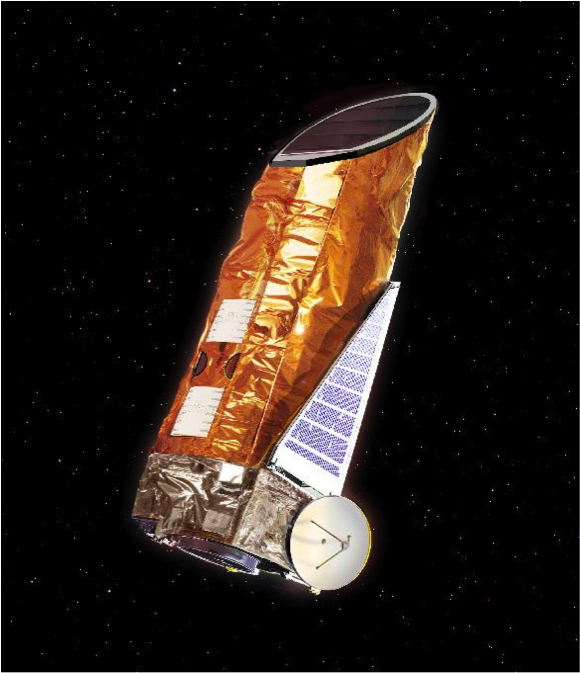 The tools produced by VPL, and the science and small exoplanet observing expertise developed by our team have played an integral role in several spacecraft missions. VPL has played a key role in the development and delivery of final reports for two NASA spacecraft concepts for exoplanet observations, Exo-Coronagraph and Exo-Starshade. V. Meadows is a Science and Technology Definition Team member for Exo-C Stapelfeldt et al., 2015). S. Domagal-Goldman and W. Sparks are Science and Technology Definition Team members for Exo-S (Seager et al., 2015). Both teams are continuing in an extended phase to develop these concepts beyond the original baseline. T. Robinson contributed modeling and predicted spectra for both final reports. S. Domagal-Goldman was promoted to Deputy Study Scientist of the LUVIOR Science and Technology Definition Team (STDT). V. Meadows is a member of the LUVIOR STDT, and S. Domagal-Goldman and T. Robinson are members of the HabEx STDT. Team members G. Arney, E. Schwieterman, and J. Lustig-Jaeger contributed presentations to the ATLAST team at GSFC in November 2015, and G. Arney gave a separate invited talk at GSFC to an audience that included ATLAST members on the detectability of hazes in Earthlike atmospheres. Our team members’ work has informed reports such as “From Cosmic Birth to Living Earths”, AURA Report, 2015 on future large space-based telescopes and the Response to Martin Elvis from the Cosmic Birth to Living Earths team. 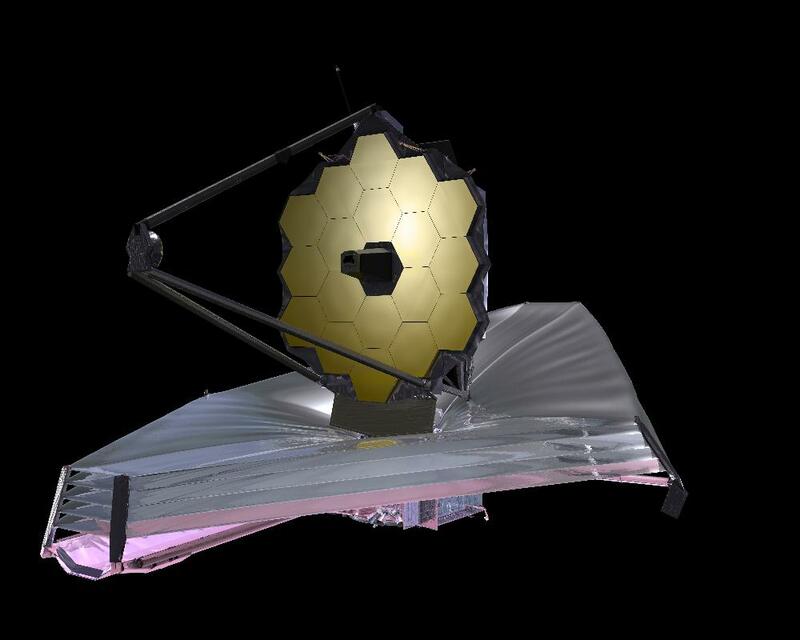 VPL research relevant to JWST includes determining the limits of the habitable zone, factors affecting habitability and therefore target selection, the diversity of terrestrial planets, and the detectability of habitability markers and atmospheric, surface and temporal biosignatures, as well as work designed to improve target selection of potentially habitable planets for detailed spectroscopic follow-up. VPL’s new state-of-the-art transit transmission modeling is specifically designed to be relevant for future JWST exoplanet obervations. A new paper by VPL members E. Schwieterman, V. Meadows, S. Domagal-Goldman, D. Deming, G. Arney, R. Luger, C. Harman, and R. Barnes produces the first self-consistent transmission spectra of potentially habitable planets with abiotic O2/O3 accumulation (“false positives” for life). This work includes estimates of noise using a JWST simulator, showing that signs of planetary origin for O2 or O3, such as CO, CO2 and O4, may be more readily detectable than the false positive O2. Therefore, we identify an observation strategy to look for and identify false positives for O2 before considerable telescope time has been used. This kind of work strengthens our ability to identify true biosignatures by discriminating against the “false positives” when the first spectroscopic studies of rocky habitable zone planets begin. Additionally, V. Meadows, E. Schwieterman, G. Arney, D. Deming and J. Lustig-Yaeger are working on end-to-end simulations of self-consistent Earth-like planets orbiting M dwarfs, as viewed by JWST. These simulations are being used to calculate the exposure time needed to observe diagnostic features in the exoplanet spectra, and to test the robustness of the retrieval techniques on simulated data for JWST. These results were presented by V. Meadows at the international conference on JWST at ESTEC in October 2015, and at the STScI Workshop on Transiting Exoplanet Science with JWST. Research undertaken by the VPL team has focused on reexamining the limits of the habitable zone and the stellar and planetary parameters that affect planetary habitability. Results from this research are relevant in constraining the potential habitability of planets to be discovered by the TESS mission and in improving target selection for the mission. The VPL team is focused on reexamining the limits of the habitable zone and the stellar parameters that affect planetary habitability. Results from this research are relevant in constraining the potential habitability of Earth-sized planets discovered by the Kepler mission. Additionally, VPL Team member E. Agol, who is also a Kepler guest observer, discovered the most potentially habitable planet to date in the Kepler data, and continues to develop planet detection algorithms to improve the science yield from the Kepler data. VPL Team member L. Walkowicz is also a member of the Kepler scientific analysis team and works on understanding the photometric variability and flare frequency and strength for stars that serve as planetary hosts. D. Deming with graduate student H. Sheets are developing new techniques to derive planetary atmospheric characteristics from combined Kepler data, also increasing the science yield of the mission. VPL student R. Luger is creating a new algorithm to reduce K2 data with a substantial decrease in noise compared to previous efforts. Many of these tools and techniques the VPL has develoeped formed the basis for a WFIRST Science Investigation Team proposal that was submitted by V. Meadows (PI), S. Domagal-Goldman, R. Barnes, T. Robinson, A. Lincowski, J. Lustig-Yaeger and colleagues, to simulate forward and instrument modeling, and data analysis and retrieval, for observations of small planets taken with a WFIRST-AFTA coronagraphic mission. C. Goldblatt is on the WFIRST SIT 'Optimizing WFIRST Coronagraph Science', where he contributes expertise about hot wet atmospheres. T. Robinson developed simulators for the coronagraphs for the WFIRST planned mission, which have been used by a number of groups afiliated with this mission. We have used our observations of Venus complimentary to Venus Express to validate our radiative transfer model. G. Arney is also an lead of the early career scholars group of the NASA Venus Exploration Advisory Group (VEXAG) Executive Committee. 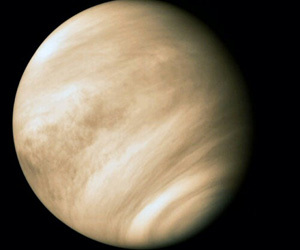 G. Arney, V. Meadows, and others are collaborating with JAXA members to perform coordinated observations of Venus with the JAXA Akatsuki orbiter. VPL co-investigator P. Conrad has two key scientific efforts as part of the Mars Science Laboratory mission: evolution and state of Martian habitability potential, and evolution and state of the atmosphere of Mars (and in particular, the heavy noble gases krypton and xenon). Conrad served six or so days a month as chair of the science operations working group and daily as the deputy principal investigator for the SAM investigation and operations lead and strategic planner for that investigation. Conrad also has a leadership role on as Deputy PI of the MSL/Curiosity Sample Analysis at Mars (SAM) team and often leads mission operations. S. Domagal-Goldman is a member of the SAM team. The experience of these two VPL team members, developed by studying Earth history, has informed their work on Mars. P. Conrad, S. Domagal-Goldman, and K. Zahnle and have contributed to both sides of a rigorous debate on the detection of methane (CH4) by the SAM/MSL team. D. Crisp contributed to NASA’s Mars InSight Mission by calculating the time dependent solar radiation field for use by the power system team to design the solar power system. 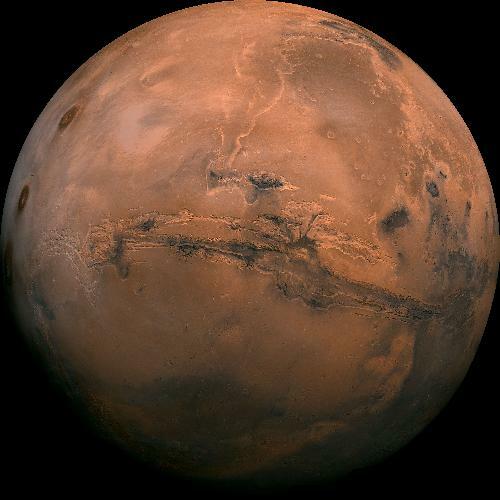 Work has been done by team members M. Smith, M. Claire, D. Catling, and K. Zahnle to understand the atmospheric formation of perchlorate and other salts on Mars. How these salts may affect the freezing point, water activity and ice structure on Mars is directly relevant to interpretation of data on perchlorate abundance found at the Phoenix polar landing site and on the potential habitability of the Martian surface and near sub-surface. VPL team member D. Catling was also a member of the Phoenix Mars Mission Science Team. D. Crisp performed a series of radiative transfer calculations for the Mars 2020 project to determine whether there was adequate solar UV flux at the Martian surface to completely sterilize the lander in place. These calculations indicate that the direct and reflected solar UV flux is more than a factor of 10 greater than that needed to kill any known microbial life form. P. Conrad is a co-I on SHERLOC (deep UV fluorescence/Raman/micro-imager instrument suite) and MEDA (met package and dust analysis suite) and is on the Mars 2020 Landing Site Working Group. J. Baross was involved with a paper presenting the case for updating the current planetary protection policy applied to “special regions on Mars” and based on new information about Earth organisms. D. Crisp is the Science Team Leader for the NASA Orbiting Carbon Observatory-2 (OCO-2) and Orbiting Carbon Observatory-3 (OCO-3) missions. OCO-2 is the first NASA mission designed to measure atmospheric carbon dioxide with sensitivity, accuracy, resolution, and coverage needed to identify the sources emitting this gas into the atmosphere, and the natural sinks that absorb it at the surface on regional scales over the globe. OCO-2 was successfully launched in July 2014, and has been returning about one million soundings over the sunlit hemisphere each day. These soundings are being analyzed to yield estimates of the column-averaged CO2 dry air mole fraction, surface pressure, chlorophyll fluorescence, and other environmental variables. OCO-3 is currently under development for deployment on the International Space Station in late 2018. Crisp is also the primary interface between the OCO-2 mission and Japanese Greenhouse gases Observing SATellite, GOSAT (nicknamed “Ibuki”). GOSAT has been in operation since 2009, and measures both CO2 and methane (CH4). The OCO-2/GOSAT collaboration focuses on the cross calibration of the measurements collected by the two satellites, intercomparisons of their retrieval algorithms, and cross-validation of their results against internationally recognized standards. Crisp is the co-lead of the Science Steering Committee for the planned NASA Active Sensing of CO2 Emissions over Nights, Days, and Seasons (ASCENDS) Mission. This mission will use LIDAR to sense atmospheric CO2, rather than reflected sunlight, so it will be able to collect CO2 measurements at night as well as during the day. ASCENDS is tentatively scheduled for launch in the early 2020’s. Data from these Earth Observing satellites serve as critical input to the VPL 3-D Spectroscopy Earth Model. We use data from MODIS on the Aqua and Terra satellites to provide high spatial resolution maps of surface types, snow cover, and cloud cover and cloud type. Data from the Microwave Limb Sounder on board the Aura platform is combined with data from AIRS to provide spatially-resolved mixing ratio profiles for atmospheric gases and atmospheric temperature profiles as input to our model. 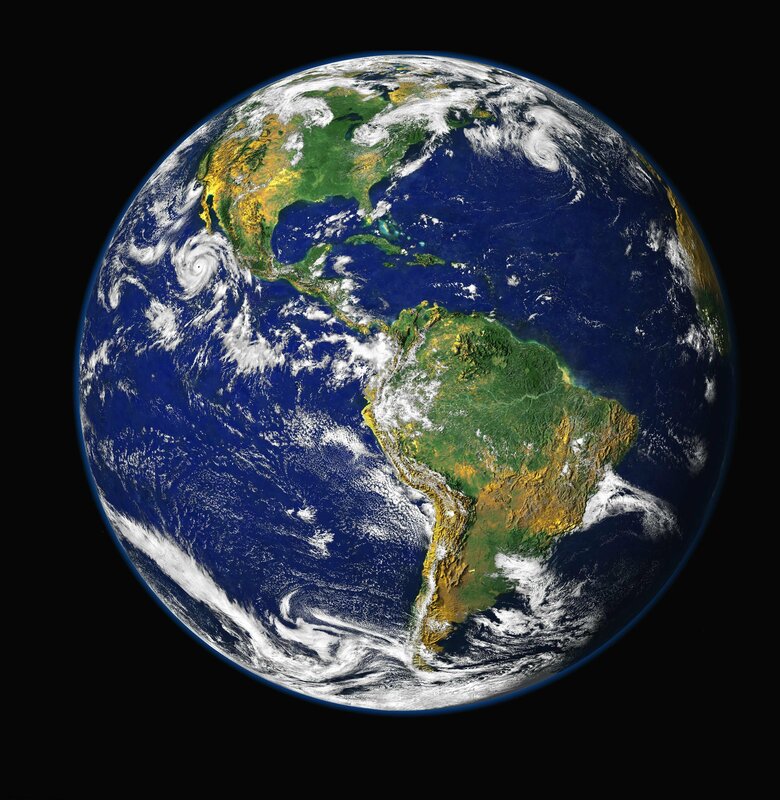 LCROSS data were used to validate the VPL Earth model as a function of phase, showing that we were able to accurately predict the magnitude, spectral behavior and phase-dependence of glint from the Earth’s oceans as a potential sign of habitability for a distant world. More information about our relevance to missions can be found on our Observer page.